This article highlights the best violin music for players that have outgrown their beginning songs, but aren't yet in advanced music. That is a big range. You will need a lot of music to keep your progressing student interested, motivated, and happy. Below are some of our favorites that we are adding to all the time. Please contact me below with some of your music favorites and I will add them to our 'Best Violin Music' list, after I take them for a test drive of course. 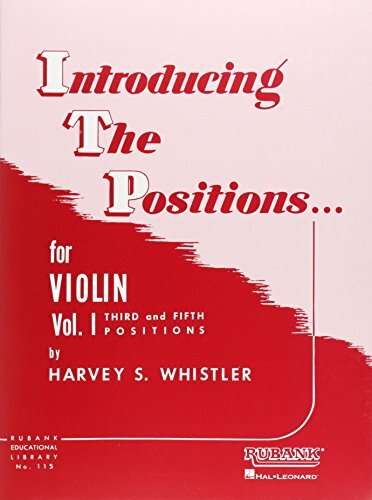 Introducing the Positions for Violin: Volume 1 - Third and Fifth Position is the perfect book for teaching the intermediate violinist how to shift and play the higher positions. This is the book that I use to teach intermediate level students. When using "Introducing the Positions", the student will learn the new notes of higher positions in a logical order using a variety of methods; scales, repetition, etudes, and classical songs. While this book might not be a blast to play from, like some of the other songs I highlight, it's not bad for a technique book and it's excellent for teaching the theory of shifting, and playing positions. 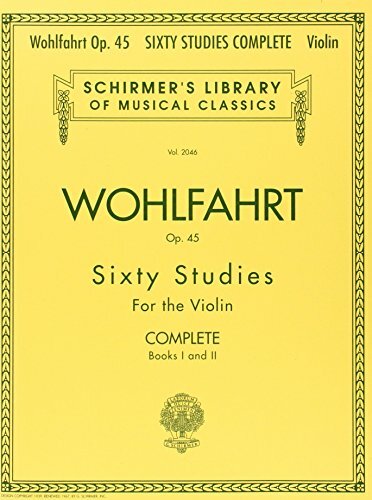 Franz Wohlfahrt - 60 Studies, Op. 45 Complete: Books 1 and 2 for Violin (Schirmer's Library of Musical Classics) - A great introduction for intermediate students into the world of Etudes, Arpeggios, and Scales. The exercises in this book will increase your student's finger agility, speed, and accuracy. Using Wolfhart and Introducing the Positions together is a powerful combination! 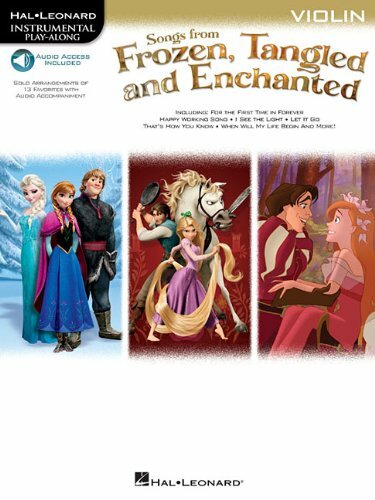 Songs from Frozen, Tangled and Enchanted: Violin (Hal Leonard Instrumental Play-Along) - We had to get this music last Christmas when my girls were singing "Let it Go" in the shower, on the bus, emptying the dishwasher, and even in their sleep! I love that it also includes songs from other movies too, so that they get a variety of music to play. My daughter is probably late beginner, early intermediate and this is a stretch for her to play (good thing the motivation is there). It has been good for her to learn new notes, new hand positions due to accidentals, new key signatures, tricky synocpated rhythm and time changes. Playing out of this book can be frustrating at times for her because it is a little on the hard side for her current playing level. The other thing that can be tough is that the included mp3 download accompaniant doesn't mess around on tempo. With that said, the accompaniant is really fun to hear and try to play along with, and she enjoys the music. I would definitely recommend this for students that mid to high intermediate. Tango Time! - is a must buy for students that love flare and playing along with C.D.'s. I have found that intermediate students that are a 12 - 20 years old especially love the way they sound with the C.D. Make sure if you are searching for this piece online that you don't buy the "Tango Time for Accordion". 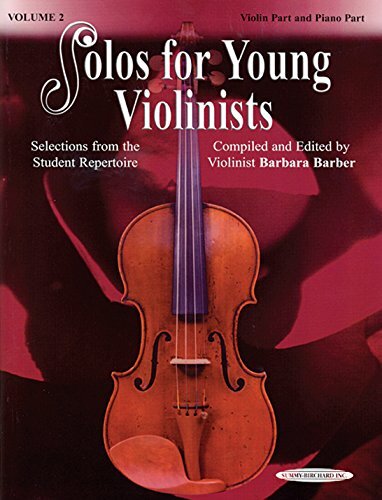 Solos for Young Violinists Violin Part and Piano Acc., Volume 2 - In my beginning music article I discuss book I of this series. Book II also deserves a shout out. It contains pretty much every must play for intermediate students looking to springboard up to advanced. The songs in this book have some shifting position work, but for the most part it is pretty straightforward. These songs are great show pieces, and wow the audience everytime. One of the best violin pieces of all time, Millionaire's Hoedown, is included in this book. In the fast paced world we live in, who wouldn't love to be able to get the violin music you need right from home or from the office before you rush to pick your kids up from school? There are many online sheet music stores to choose from. Some of them are free, and some of them cost money (usually at a discounted price). Here are two of my favorite for finding intermediate level music. 8notes.com is an excellent resource for FREE violin sheet music! They have over 90 intermediate level pieces. Almost all of the intermediate pieces you'll find on this site are strictly classical pieces from popular composers like Bach, Mozart, Tchaikovsky, and Schubert. You will rarely find a sheet music site that has more then just the classics for free because the composers are still alive and want to collect revenue from their compositions. This site is very easy to navigate, find music, and then print it. Looking for more than just classical? Virtual Sheet Music offers a wide variety of music in the intermediate level. The music is cheaper then buying or ordering a hard copy, and you can print it off right now! Plus they offer a great deal for a year membership. You pay once for the whole year and enjoy all of the Free music you could ever want. Some of my favorite intermediate songs from Virtual Sheet Music® are;Moto Perpetuo Second Pupil's Concerto by Seitz, and The Entertainer. They also have Free Sheet Music that they switch up every two weeks. You could build an awesome musical library just by downloading these freebies. Check them out by clicking on the link above.